Normal life across Kashmir Valley was affected due to moderate snowfall since overnight, leading to the closure of crucial Srinagar-Jammu highway and suspension of the air traffic.Reports reaching Global News Service (GNS) said that the Srinagar, the summer capital of Jammu and Kashmir, received fresh snowfall. A thick blanket of snow covered Srinagar, as tourists staying in hotels and houseboats came out in open to enjoy the flakes of snow. Many tourists and locals were seen hurling snow on each other to express their joy this evening. 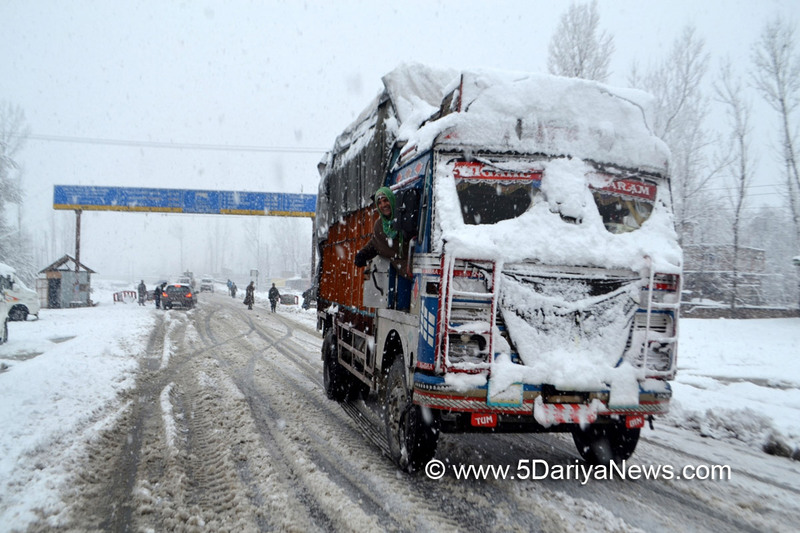 The snow led to deluging of almost all roads in Srinagar. The snowfall also disrupted electricity in many parts of Kashmir Valley including Lal Chowk, the commercial hub of the state. When this report was filed, many areas were reeling in darkness.The snowfall also prompted the authorities to close the 300-km Srinagar-Jammu highway for traffic as the snowfall has led to slippery road conditions at Digdool, Khooni Nallah, and Panthal, even as the officials of Beacon made hectic efforts to clear the highway.